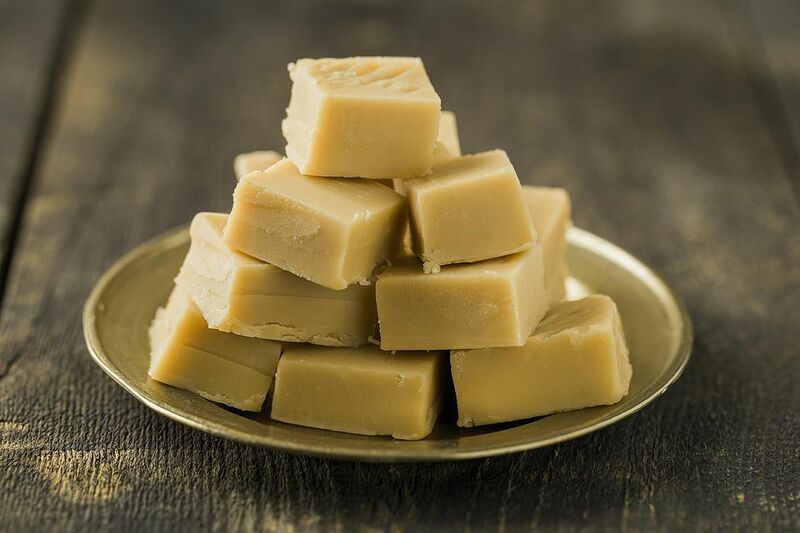 In its most basic state, toffee is just sugar cooked to a high temperature and left to cool and harden. This recipe will introduce you to toffee, and from here you can experiment with adding nuts or other flavorings. Don't be put off by the vinegar in the recipe--trust me, you can't taste it in the finished product. Some toffee recipes (like this one) will call for vinegar or cream of tartar to be added. Both of these products are acidic, and help the sugar boil properly and form the correct crystalline structure. Bottom line: vinegar helps the candy taste great. Pass the toffee! 1. Prepare a 6x6 inch pan by spraying it with nonstick cooking spray or covering it with foil. 2. Place the sugar and vinegar in a medium saucepan, and add 1 cup of water. Stir until the sugar has dissolved. 3. Allow the mixture to boil, then cover and continue to boil for 3 minutes. 4. Uncover and boil until the temperature is 285 degrees, or soft crack stage. 5. Pour into prepared pan and let it set slightly. 6. Mark into squares with a knife or bench scraper. Let fully harden.